As for easiest, I think the easiest were probably Pinwheel from the first Dark Souls; Old Monk from Demon's Souls, which I feel may be unfair, since it's supposed to be a PvP battle, but I fought an A.I. and Witch of Hemwick in Bloodborne.... The fight is pretty similar to the Fool's Idol boss in Demons Souls, except with fireball attacks instead of soul arrows and less places for you to take cover. 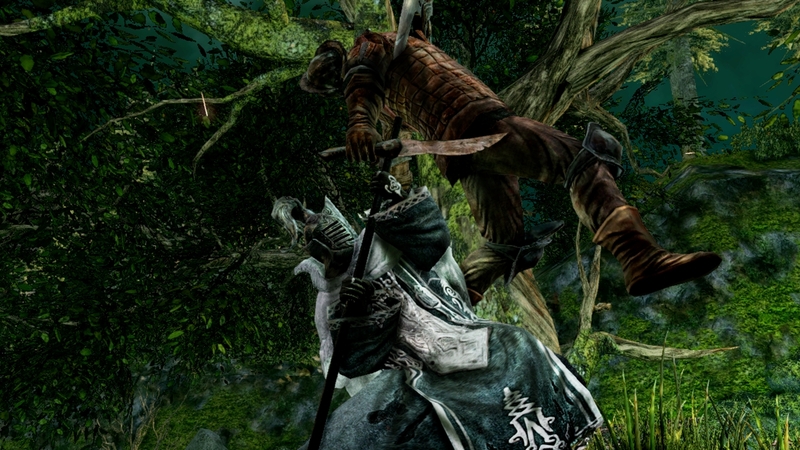 Strategy Pinwheel is generally considered the weakest area Boss in the game, although weakness in Dark Souls is relative. I died to Pinwheel my first time. He's actually pretty dangerous if you let him get out of hand since you're suddenly surrounded by fireball spitting Pinwheel clones. 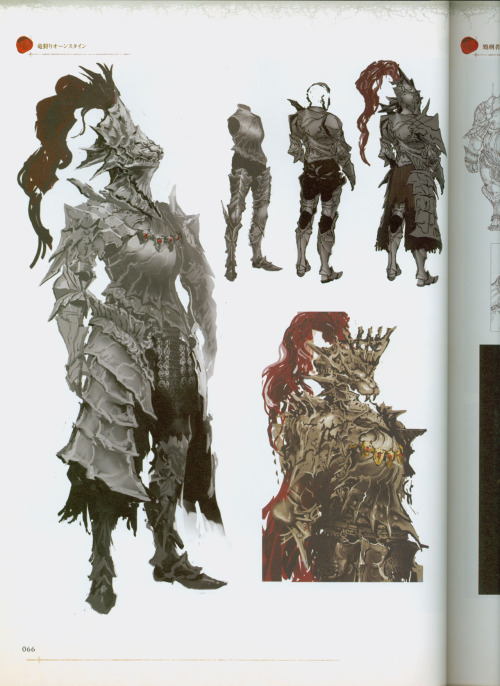 I was a pretty defensive player back then so it didn't go well, plus this was before Anor Londo so I was pretty weak. Strategy. 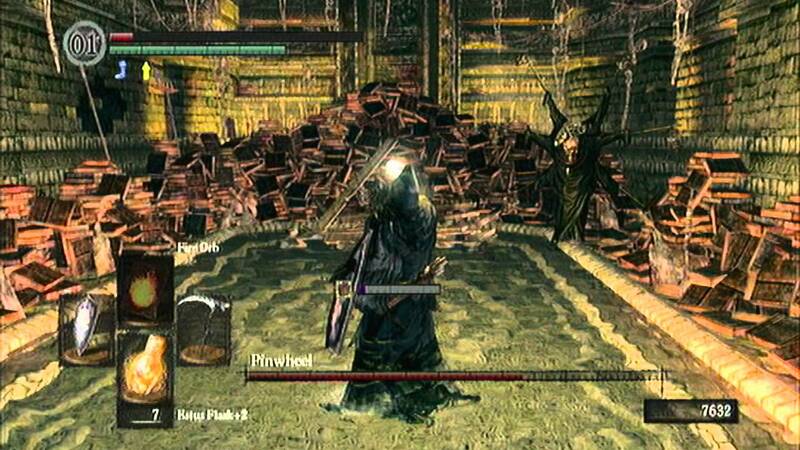 Pinwheel is generally considered the weakest area boss in the game, although weakness in Dark Souls is relative. Most players will take damage when dropping into his lair before triggering the cinematic, and may have a natural instinct to pause to heal themselves when the fight starts. Pinwheel always drops a mask but it is random. However talk to Patches in the Tomb of the Giants (area after Catacombs) and tell him No when he asks his first question, and when you beat the Tomb of the Giants boss, he will move to Firelink Shrine, next to Frampt and sell all three masks.